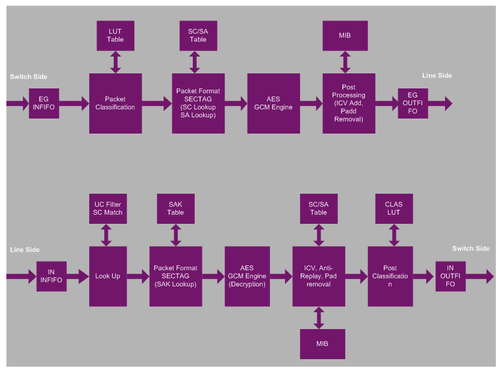 The Ensigma MACSec engine implements the complete MACSec data plane functionality, and is part of the Ensigma networking IP portfolio. Imagination Technologies - a global leader in multimedia and communication technologies - creates and licenses market-leading processor solutions for graphics, video, and display, embedded processing, multi-standard communications and connectivity, and cross-platform V.VoIP & VoLTE. These silicon and software intellectual property (IP) solutions for systems-on-chip (SoC) are complemented by an extensive portfolio of software drivers, developer tools and extensive market and technology-focused ecosystems.